After the recently concluded New Zealand-India and South Africa-Pakistan series, the ICC T20I Rankings have witnessed some major changes. South Africa defeated Pakistan 2-1 while New Zealand got over India by the same margin. While there are no changes in the positions of India and New Zealand, South Africa overtook England and Australia to take the 3rd spot. Pakistan continues to be on top of the rankings. 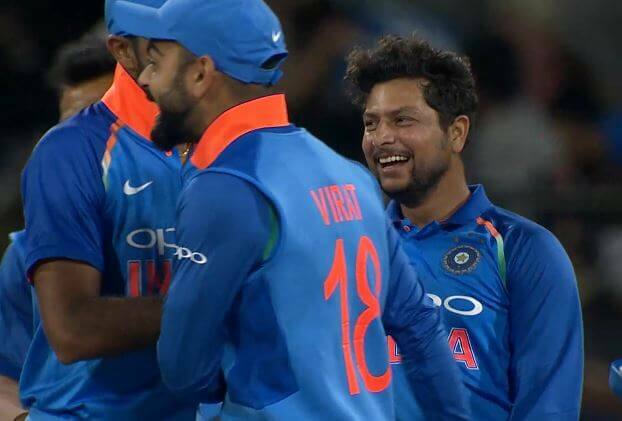 When it comes to the bowlers’ rankings, India’s Kuldeep Yadav has risen to his career-best No.2 rank. He was placed at No.3 prior to the series. The left-arm wrist spinner featured in just the last game of the series. His figures of 26/2 helped him pip Pakistan’s Shadab Khan. Imad Wasim of Pakistan climbed 5 places to take the 4th slot. New Zealand’s Mitchell Santner has entered top 10 from the 14th rank. As far as the batsmen are concerned, Rohit Sharma, India’s stand-in skipper, has risen 3 places to No.7. Shikhar Dhawan, Kane Williamson, Ross Taylor, Tim Seifert are the other major gainers in the rankings.